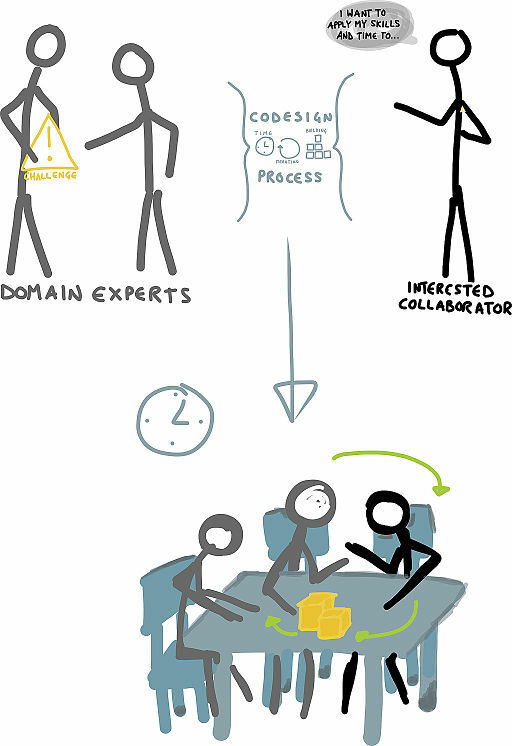 According to Mark Dean, a Visiting Researcher at the Australian Institute for Industrial Transformation at Flinders University, during the last decade, co-design – or participatory design – has frequently featured as a practical model for large public projects – with a significant engagement component. In short, co-design is an approach to design that actively involves all stakeholders – from employees, corporate and government partners, customers, citizens and end users – in the design process to ensure results meet their independent and collaborative needs and that the design is usable. Mark Dean considers that at co-design’s core is the simple notion that because problems are complex, finding solutions means considering multiple perspectives to develop policies that address their causes, rather than just their symptoms. This leaves ample room for experimentation – and for failure. Key to co-design’s success is, in fact, to try and fail early so that the field of sustainable solutions narrows quickly and chances of success increase rapidly. In an article, he charts co-design’s efficacy as a model of public engagement and explores the lessons of co-design’s approach to government initiatives in urban renewal and regeneration in Northern Adelaide.